Hello Everyone. A lovely morning here after all the rain yesterday. Thank you for calling in today and I hope you like what I have made. 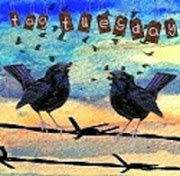 At Go Tag Thursday the theme for this week is Tape Measure or Ruler. Good to know the week before what the theme will be for the coming week as it gives me time to think about it and make the tag early. I used the Tim Holtz measure stencil then coloured the he tapes with Distressed ink. The quote I found on Google and the own is a picture of my knitted tea cosy. He turns up on all sorts of crafty things. 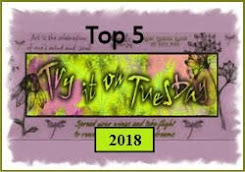 Will link this to our Tag Tuesday challenge as well where Valerie has the theme Anything Goes so any tags you make just add us to your post. Art Journal Journey have Gill as their host this month and the Elegance and Grunge theme is proving to be a winner for sure with some terrific ideas. 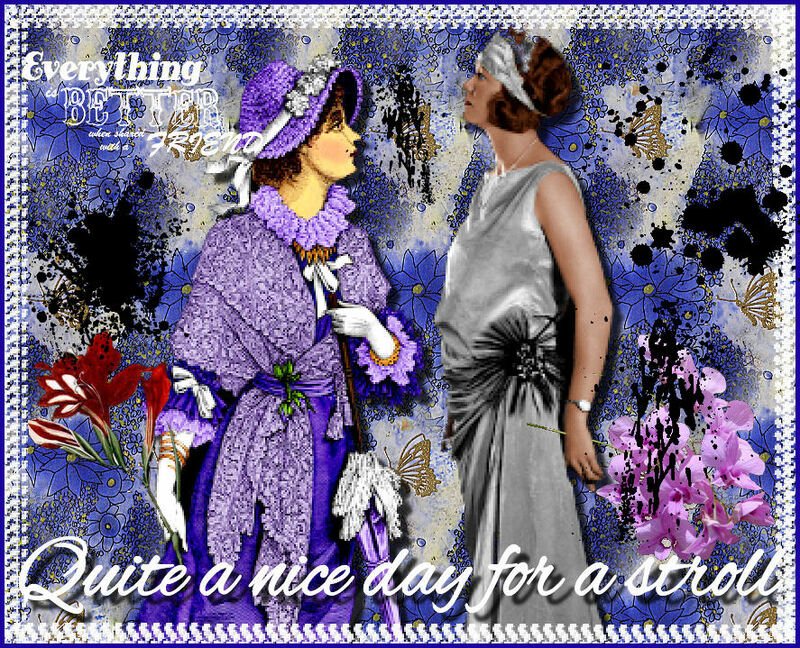 I did the elegance bit first with the ladies from DezinaWorld 15 where June kindly provides lots of free images for us to use. Then I made some grunge brushes to show how quickly elegance can be messed up. I know if I get dressed up I spill something all down my front--well maybe that's just me. Have a great day all. We have 6 for lunch today so I had better get started. Wow - your page is amazing - I am off to a "STROLL"/WALK just now with the dogs- since we have wonderful summer weather today. Your tag is amazing - I love this quote - equally true! 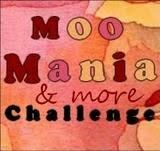 Thank you for another wonderful idea for Gill's May theme! and once more I have to say thank you for all the great support for the challenge again! Lovely tag and journal page Chrissie and great quotes on both. Great quote and tag! I think your little owl is adorable! 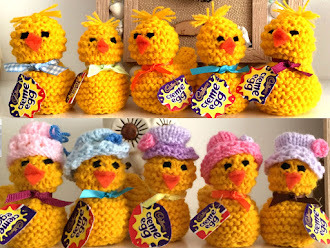 Its a wonderful tag with the cute owl, did you knit him? Its a fabulous page as well, it had me thinking about My Fair Lady nad all the elegant gowns they wore. Fabulous tag with an adorable owl! The page is really wonderful. Commiserations from a fellow messy pup! 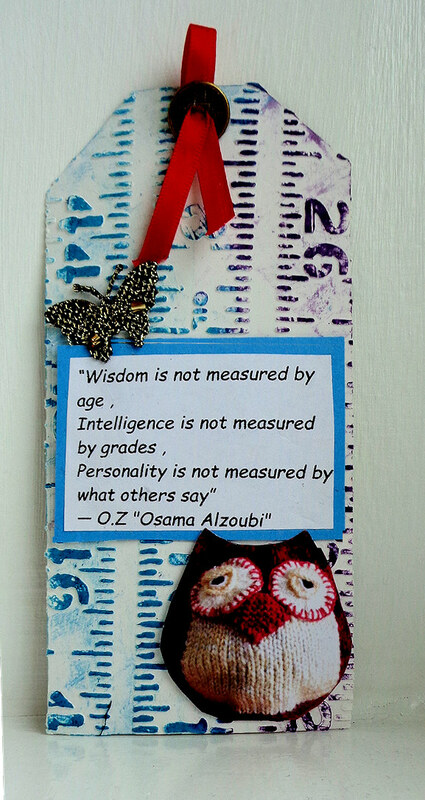 I love white for the summer but I can't wear it for that reason... You've found a great quote to team up with your owl (never seen him before, he is such a hoot!!!) and the stencilled rulers. Your elegance and grunge make is equally clever, quite a difficult theme I think! I was really impressed with your stenciled ruler. It is gorgeous and so is the entire tag. I love that quote from the wise owl. Your lovely AJJ entry is fabulous. 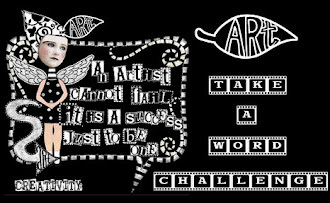 What a beauty you have created for Gill's theme. I love it. 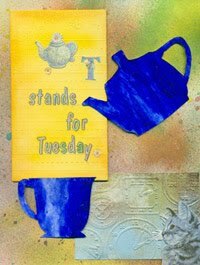 Lovely tag and journal page Chrissie, love your tea cosy.